When it comes to your personal documents, The UPS Store has just the 'ing' you need—notarizing. If you're looking for licensed notary public services in Pinellas Park, come to The UPS Store. Stop by today and get notarizing checked off your list. 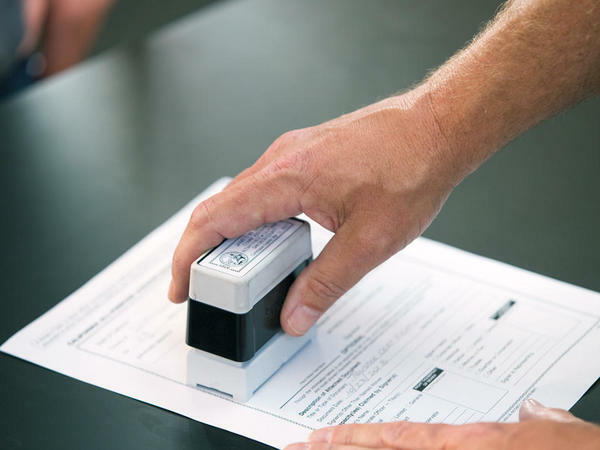 At The UPS Store Pinellas Park we have a professional licensed notary public on staff ready to help you get your business and personal documents notarized quickly and efficiently. Our notary is experienced in notarizing wills, trusts, deeds, contracts, affidavits and more. Make an appointment online or stop by The UPS Store at 7780 49th St North today. We are Pinellas Park's premier notary provider. We are a convenient location for anyone located in 33781, 33782, and 33762. Located on 49th St, we are here to help with any of your document needs.